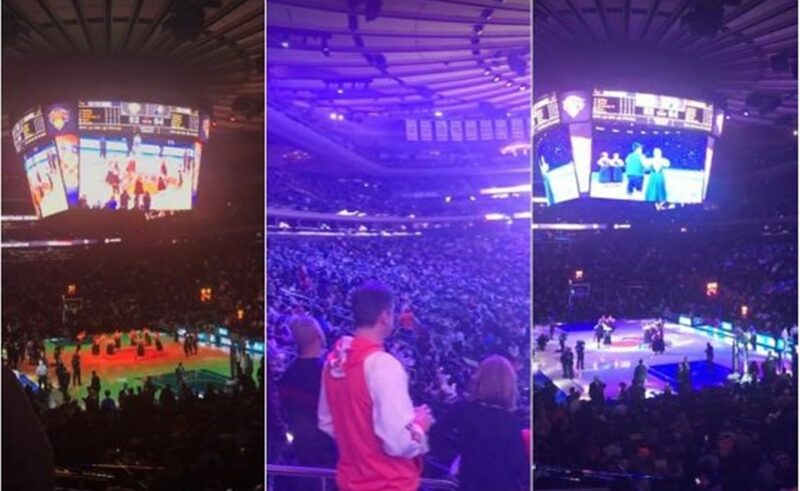 Madison Square Garden Hosted 1st Ever Croatian Heritage Night! Madison Square Garden hosted their first ever Croatian Heritage Night on Friday, January 11th 2019 vs. The Indiana Pacers. During the halftime, members of Folklore Group Hrvatska Ruža from Astoria New York danced traditional Croatian dance from the Dubrovnik region dating from the 18th century – Linđo. This felt like a really special night for all of the Croatians at MSG but especially for the Knicks player, Croatian Mario Hezonja.